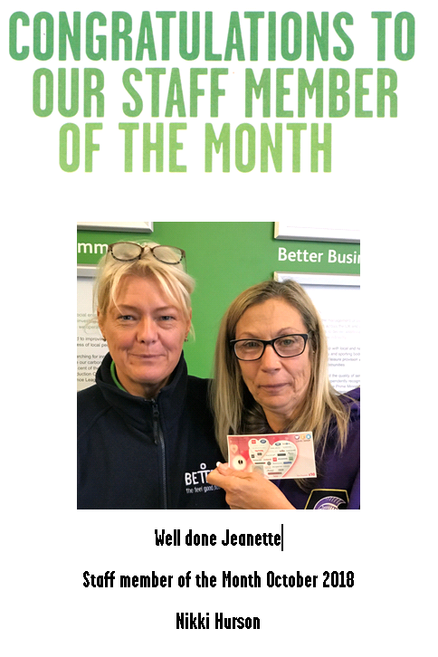 Massive well done to Jeanette for all her hard work here at Tiller Leisure Centre. Jeanette contributes to our centre programme and encourages our Young @ Heart group to do more physical activities, by getting them back into sports. She is a great member of the team!